Every year, thousands of new business are started by people with no knowledge of modern marketing at all?and some of them survive and thrive. 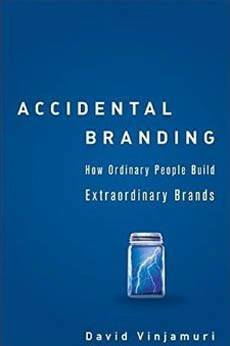 Accidental Branding tells the story of seven “accidental” brands and how their founders beat bigger competitors by breaking the standard rules of marketing. Successful brands like Burt’s Bees, J. Peterman, and Clif Bar reveal how doing things differently can lead to big-time success. If you’re an entrepreneur or a marketer, this guide will show you how to build stronger brands.